15th May 2008. In this Issue: New Goldfields Books in the ExplorOz Shop, Latest Site Development - ExplorOz Hints & Tips in Blogs, New Riverland Trek and Latest updated Treks. Welcome to another jam-packed addition of the ExplorOz fortnightly newsletter. In this edition, we feature a new trek note within the Riverland regions of South Australia near the VIC/NSW border. 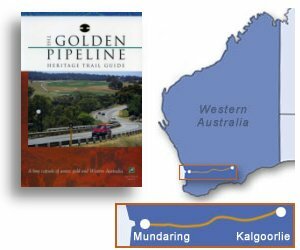 Mike has been busy sourcing two new ‘goldfields’ books which are now available from the online Shop and we have begun implementing the much-awaited hints and tips category in Blogs - so you can get the most of using the ExplorOz website. Ron and Viv Moon’s guide to Cape York has been released in its 11th fully revised edition. Thanks to one of our regular contributors, this new trek note follows the mighty Murray River and takes in the old stock route that was once used by the ‘Overlanders’ who brought the very first stock to Adelaide overland from New South Wales. We are currently looking for plot files for the following trek notes so they can be converted to the new format. You may start to notice new hints and tips appearing in the blogs system. 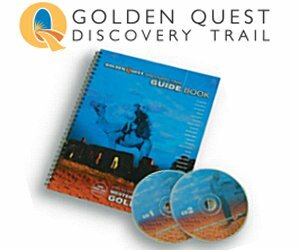 These entries will help you use the ExplorOz website with confidence. Keep an eye out for them as they will also show in the latest blog entries in the forum. Our newsletter is distributed to 30,421 subscribers on a fortnightly basis.